According to recent research, a poor acoustic environment can negatively affect a patient’s health and recovery. The Facility Guidelines Institute (FGI) Guidelines for Design and Construction is a document that architects, consultants, and engineers refer to when designing outpatient facilities and hospitals. The main goal of the FGI is to keep the patients comfortable and to promote healing. Although the obvious focus is on sanitation, ventilation, size of facilities, equipment etc., the FGI doesn’t neglect often overlooked areas such as acoustics. While medical facilities comply with the Health Insurance Portability and Accountability Act (HIPAA) standards on speech privacy, FGI adds over 14 additional guidelines on various acoustical issues including site exterior noise, existing exterior noise, facility noise emissions, exterior noise classification, and room noise levels. Acoustics are actually incredibly important to the well-being of a patient. The FGI has recognized this and it is the reason for such detail within the guidelines. The FGI is an independent, not-for-profit organization dedicated to developing guidance for the planning, design, and construction of hospitals, outpatient facilities, and residential health, care, and support facilities. They oversee the FGI Guidelines for Design and Construction revision process and publication, fund research, and offer resources that support the development of safe, effective health and residential care built environments. FGI partners with numerous other organizations to help develop the Guidelines and other practical, evidence-informed publications. When it comes to the acoustical concerns in hospitals speech privacy is often at the top of the list. The Health Insurance Portability and Accountability Act (HIPAA), requires that patient information cannot be disclosed without consent. This includes verbal consultations with doctors. It is important that a hospital room be designed to maximize the privacy of patients. However Speech Privacy shouldn’t be the only concern when it comes to acoustics. Noises and distractions can also affect the well being and recovery time of patients. Let’s say a patient has just had major surgery and is resting comfortably in their hospital room. As they are about to drift off to sleep the HVAC system comes on with a whirring bang and the air blowing thorough the ducts vibrates loudly. The noise and vibration disturbs the patient and the patient cannot relax and fall back asleep. The constant noise can also interrupt a resting patient and disturb their sleep. Rest is incredibly important for a patient’s recovery and disruption of sleep often leads patients to a longer recovery or can exacerbate patient’s aliments further. For example, sudden noises can set off the “startle reflexes” and lead to increased blood pressure and higher respiratory rates. Disturbances such as beepers, alarms, machines, rolling carts, HVAC , and even machine vibrations can cause stress and prolong the healing process. Poor environmental acoustics not only affect patients but hospital staff as well. Having to work in a poor acoustical environment can lead to irritation, fatigue, distraction, and even tension headaches. Often materials used during hospital construction are chosen for ease of cleanliness. While these materials are valuable in keeping the hospital clean and germ free, they can negatively impact the acoustical environment they often reflect sound. An acoustic consultant takes this into consideration and can make recommendations on the type of materials to use in walls and ceilings to help reduce noise and vibrations. They can also asses speech privacy and intelligibility through acoustic testing and make sure that it meets HIPAA standards. Hospitals are a place where the sick go to heal. Highly trained nurses and doctors spend tireless hours helping their patients recover, a quiet and private space to essential to their recovery. Lisa Thorburn, president of Thorburn Associates states “We are excited to have Jackie join our team! She brings a wealth of experience and knowledge of security systems to TA. Her insights to the market requirements related to these systems are just one of her strengths. 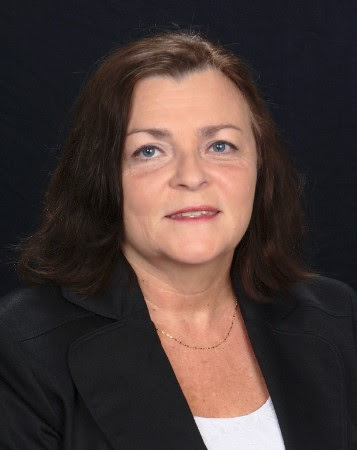 Jackie comes to Thorburn Associates with more than 34 years of in-depth education, sales and management experience, helping companies choose the best solutions for securing and managing their physical assets. Her experience gained in community college instruction led to her first position with ADP Dealer Services Division where she was instrumental in designing and implementing the curriculum and classes held for automotive dealership personnel as well as the ADP sales force. In 1983, she became a partner in a company, Auto Trak, Inc. In 1988, Jackie and three partners formed another company Key Trak, Inc., the first electronic key control software and hardware product in the world. Primarily designed for the automotive market, Jackie took on the responsibility to show Multi-Family operators that they needed to secure apartment keys and protect themselves from lawsuits arising from misuse of keys. The move into other markets such as the hotel, casino and government facilities soon followed. The Key Trak name is now synonymous with all key control systems, much as Kleenex is with tissues. Thorburn Associates Inc. (TA) is a multi-disciplinary design and engineering firm specializing in acoustical consulting, technology engineering (audiovisual, data/telecom, security) and lighting design for the commercial, corporate, leisure, public, residential, and retail industries. TA has established and maintains a standard of excellence in order to consistently deliver premier quality design while maintaining client interest and professional standards. Headquartered in Castro Valley, CA, with regional offices in the Los Angeles, Orlando, Charlotte, and Raleigh-Durham area, TA has worked on over 2600 projects since being established in 1992. Thorburn Associates has been recognized as one of the leading firms in the design industry. TA projects have received multiple awards, from the International Communications Industry Association (ICIA-InfoComm), the American Institute of Architects (AIA) and the Themed Entertainment Association (TEA). Every interaction with others is a form of presentation. It may be a simple one-to-one spontaneous water cooler discussion or a fully choreographed event. While we may use the term “presentation experience” this often represents just a one way discussion… and while it may be semantics, it has to be about “communication” not just presentation. In order to talk about presentations and the way we envision they should be, we should talk about the experience. Presentations must go beyond one directional information flow and PowerPoint. Presentations should be an experience. That is why we talk about the “Exceptional Communication Experience”. 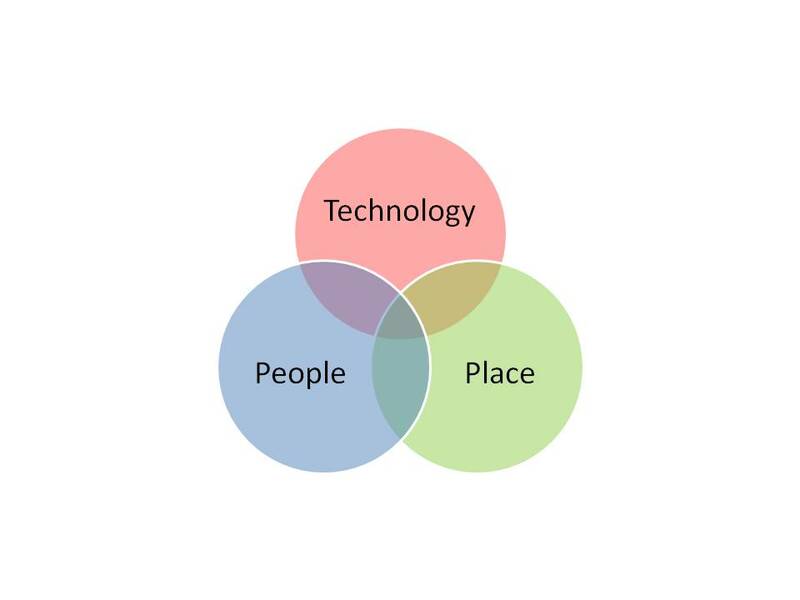 The Exceptional Communication Experience is that sweet spot where three basic categories of presentations come together: the technology, the place, and the people. When all three come together you will find that you have a dynamic and knowledgeable presenter using great materials given in an optimal environment enhanced by the most applicable technical tools available. This all forms one cohesive experience for the observer/participant that fully draws them in and commits them to content and causes them to invest as many senses, emotions, thoughts as possible. The Exceptional Communication Experience is so much more than attending or hosting a meeting where information is forced at the audience in a “death by PowerPoint” fashion. When you have successfully achieved The Exceptional Communication Experience, everyone involved is better for it. In the Exceptional Communication Experience presenters become mentors, the audience becomes collaborators and everyone has added value to the message. This is all accomplished because the best tools and technology are available, the environment is optimal and the presenter and materials are appropriate. When it happens, it is a beautiful thing. and request a copy of our White Paper – we’re happy to send it to you! Max comes to Thorburn Associates with 28 years of in-depth experience with IT infrastructure, AV systems, computers, computer networks, network security, telecom, videoconferencing and collaborative systems. He has held product development and strategic leadership positions in some of the top manufacturers in the audiovisual and unified communications industries. His vast experience allows him to blend conferencing and presentation technology with networked AV systems. This allows networked and today’s mobile devices (BYOD) to deliver truly unified communications solutions building complete collaborative environments that enhance all aspects of communication for business. Before joining TA, Max was partner/owner of one of the industry’s top consulting firms for sales and technical training and LEAN Six Sigma process improvement. He holds advanced certifications in project management, networking, routing and switching, network security, technical training, operations excellence, QA/QC and audiovisual design and installation. In 2010 he was awarded InfoComm’s Educator of the Year honor. “Max will be a great addition to the Thorburn Associates leadership team – we’re glad to have him on board!” stated Lisa Thorburn, President of Thorburn Associates. 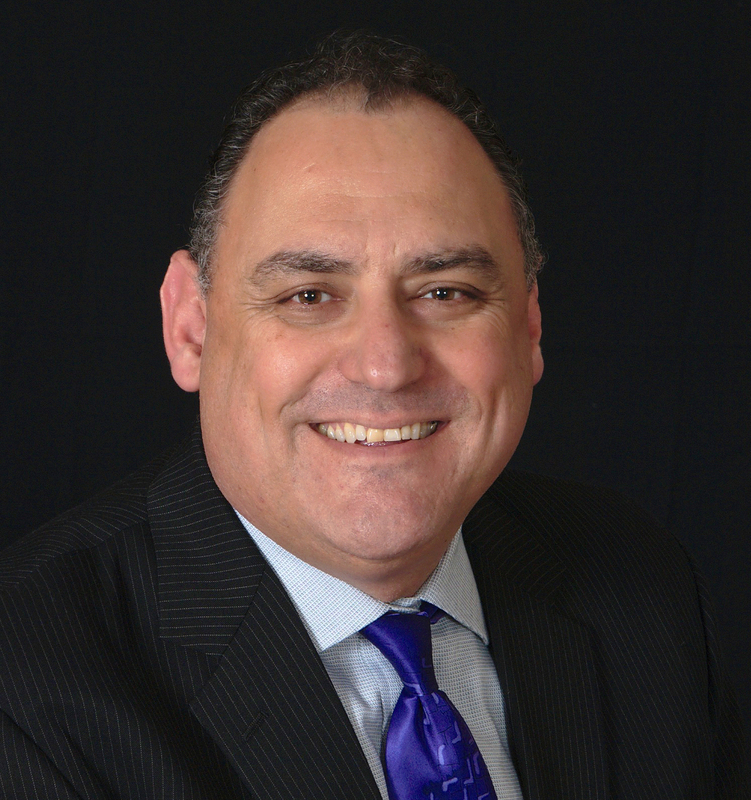 His experience includes the development and execution of comprehensive global training programs for industry associations, channel partners, and technology manufacturers. His experience in Unified Communications includes videoconference and collaborative environment design for global enterprises, development, training and implementation. Max served in the U.S. Army for 10 years where he gained his initial experience in computer/electronics technology and worked with complex computer networks, advanced radar systems and specialized electronics and thermal and night vision imaging devices. In addition to assuming his principal role, Max will be responsible for driving Thorburn Associates’ Unified Communications and Collaboration Division (UCC). Max will be instrumental in the anticipated “exponential growth” of TA’s UCC Division by using his own experience and expertise and engaging the rest of the Thorburn team to solve the toughest of customer AV/IT and communications problems with technical prowess and keen insight into their strategic business needs. As with any issue of building performance, the acoustics of a mixed-use wood-frame structure can be designed to meet or far exceed minimal requirements. It is the responsibility of the design team to determine acoustical expectations for the project and meet them within the available budget. Through the use of case studies, this fast-paced, interactive session will explore how multi-story wood systems can be used to meet acoustical privacy goals. Discussion will focus on the detailing and construction of units, and how consideration of the construction process can help keep acoustical costs down. With the objective of providing implementable solutions, the session will include construction details and photos showing what has and hasn’t worked in actual buildings. Speaker: Steve Thorburn, Principal, Thorburn Associates Inc.
Steve enjoys helping others understand the principals of acoustics and audiovisual technology. His dual degrees in electrical engineering and technical theatre give him a balanced left brain/right brain approach to project solutions. In addition to experience on more than 2,800 projects, he is an author and teacher, a past INFOCOMM Educator of the Year, and recipient of two International Communications Industries Association Facility Design Awards. Presented by WoodWorks in conjunction with Thorburn Associates. What strikes me as ironic about this drama as I listened to it was the lost week of time. There was over a week of waiting that, from where I sit, did not need to be in the process. I’ve learned that I will never have to pay for a delivery charge from Proflowers for my mother since they just cannot get the flowers there on the scheduled day—remember I did say central Michigan (a.k.a. the true middle of nowhere). However, Amazon Prime orders always make it within their two-to-three day delivery window; so why did it take the technician four days to get a part from his main warehouse regardless of where it was located? They should have been able to pick the part that day and ship it out overnight, assuming there are at least daily deliveries between the main warehouses in his dispatch office. The building blocks for the future of learning space design are already around us. Exploring five key areas will highlight the challenges our industry must overcome to make that future a reality. But first, one must understand the overarching educational trend that is driving the process: the collaborative classroom. 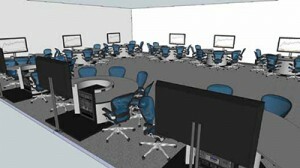 Ideally, the collaborative classroom centers around six to nine students grouped at a table in sets of three. At their table is a group display where they can share what they are working on with the rest of the table. Next comes the challenge of the instructor location. 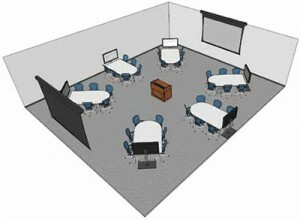 While the objective is to free the instructor from a fixed presentation location, there still should be a node to connect their technology into the room system. Two locations that seem to work well are the stage right front of the room, and the center of the room. The center of the room seems the most logical location, but many instructors still prefer to be near the front. While a front of room focus is clearly not important when students are working in groups, it is still important for the 20% lecture. Having students twist their bodies to turn to see the instructor resembles a game of twister in the classroom. 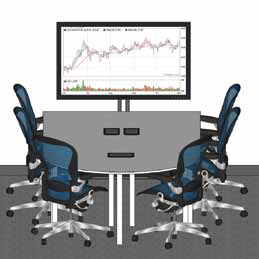 Our experience shows that U-shaped tables all facing a central point are a very functional solution for collaborative group work seating that aligns with a unidirectional view to the front or center of the room. 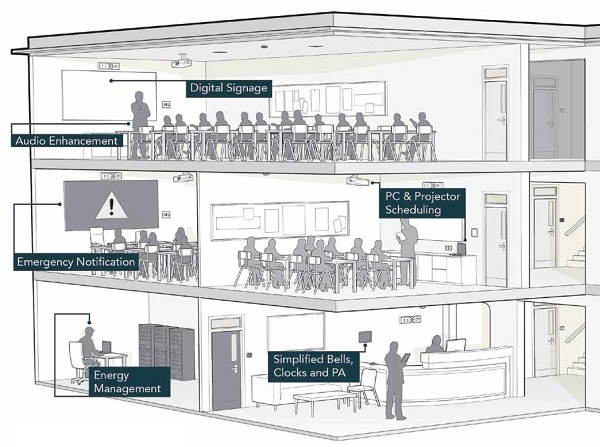 Design for dynamic, versatile learning spaces that are equipped for self-guided learning, group work-shopping, and constructive idea-exchange. A main concern for technology managers is how to support a collaborative environment while still meeting specific learning objectives. An earlier version of this article ran in a 2014 AV Technology edition. “I just want to stream the audio from my laptop or device to the audio system in the conference room,” was a request during an initial design meeting. This is another great example of technology in the home now pushing us at work. For a number of years different products have been on the market to let you stream audio wirelessly within your home. Sonos was the first major player in the market. They create their own Local Area Network to send music from the base station to loudspeakers located throughout the house. Another example of this is through Apple TV. Other competing companies like Roku have similar systems that allow you to stream your iTunes through their systems. The same Bluetooth signal you use with your wireless smart phone earpiece also has a spot in the home audio system. Bluetooth is a wireless technology that uses UHF radio waves to transmit data over short distances and is used mostly in hands free phone applications. It was originally conceived as a data transfer method to replace RS232 cables. Bluetooth loudspeakers now exist that are designed to work with your phone or Bluetooth enabled computers, however, there are no commercial or even whole-house audio distribution systems that use Bluetooth as its transmission standard. One of the best uses in the home audio market for the use of Bluetooth is wirelessly connecting your subwoofer and surround loudspeakers. The main drawback to Bluetooth is its limited range. Presently there is no easy “plug and play” (or should we just say “play”) system for the commercial / business environment. Yes, you can go home and connect your computer or PDA to your stereo or video system, but you had to load something somewhere, place items on your internal network. Your neighbor cannot just walk in and start using their device on your home system. 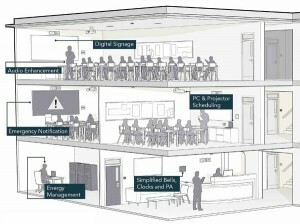 This is part of the the challenge we find in the business world, while collaboration spaces and media rich rooms like classrooms, could use something like this, it still takes logging in and passing the key around to show your computer images. Twice now we have tried to integrate Apple TV into conference rooms. Both times it was a failure – not from a connection point of view, but from an IT security point of view. The general drawback is the difficulty of managing the device on the company’s network. Apple TV does not play well with commercial networks and it really is a home device not meant for commercial applications. As with all things AV, we see wireless connectivity being wanted and needed. It is just a matter of when. You can make it work now, some of the time, for some of the people, but not all of the time for all of the people. When the iPhone first came out, one of our colleagues was doing a demonstration to a city council. The demonstration was a recorded simulation of a noise event. Prior to the meeting he carefully adjusted the demonstration level in the council chambers, in order to show the most accurate information. At the time of the testimony, our colleague reproduced the calibration level and showed the council members that it was 60dBA – the goal for the calibration level. Then two different council members that had just gotten their iPhone for the holidays said, no I read it at 64dBA here and the other said no it is only 57dBA here. How do you argue with Apple? They clearly would not make a product that was not accurate. A few weeks ago we tried a similar test… we used our sound masking system to create a uniform sound field as defined by our “true test meters”. We used three of our “test meters” to triple check the levels and all were within a few tenths of a decibel, as we would expect. Unfortunately, our smart phones had a 10 decibel range between the lowest and the highest and none of them matched what our “true test meters” reported.